This family is so special to me. From middle school through college I babysat these three sweet kids. They aren't little kids anymore! It has been amazing to watch them grow over the past 11 years. Hannah was less than a year old when I started babysitting her! Troy and Karen have had a huge impact on my life as well. After they would get back from their date while I was babysitting, they would hang out and talk to me for awhile about what was going on in my life and helped coach me through it. Especially when I was in middle school and didn't talk to my parents about everything I always felt like I could talk to the Youngs. Glad I grew out of those middle school years!. 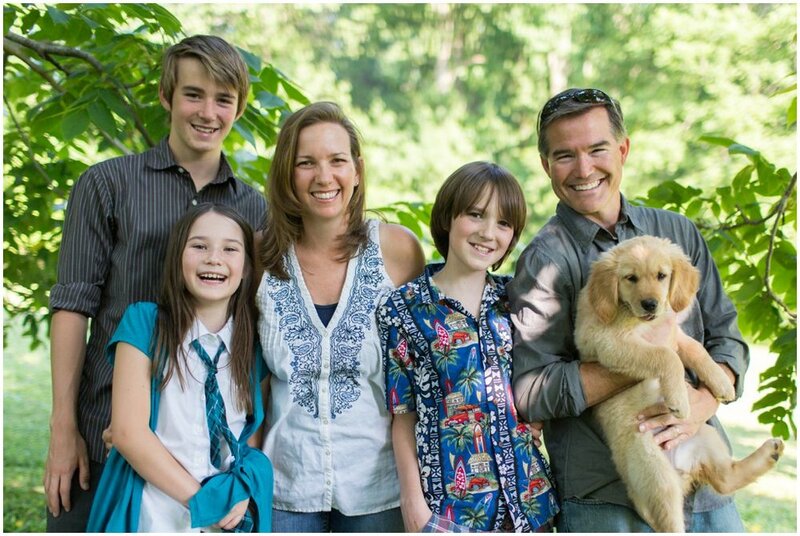 The Youngs recently got a new puppy, sweet little Maggie! She is a bundle of joy and is a perfect fit in their family. It was fun watching her run around and play with the kids. I am so thankful to know this family and am a stronger follower of Christ from knowing them. 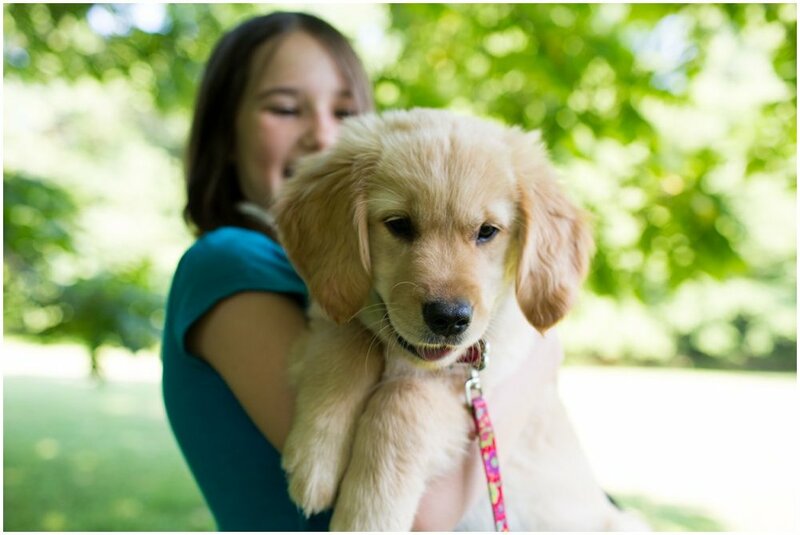 Enjoy these shots of the Young family and their new puppy!